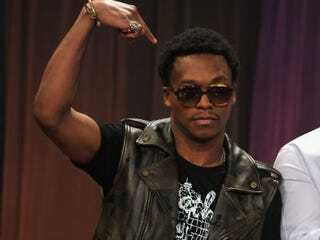 After recording two critically acclaimed albums and defying the laws of hip-hop commercialism, which state that overtly "conscious" rappers can't sell records, Lupe Fiasco has released his third studio album, Lasers. On this new album, Lupe delivers his signature metaphorical genius. But fans may be surprised to encounter a more mainstream sound on Lasers, including an unexpected collaboration with R&B sensation Trey Songz. Other collaborators include John Legend and the Neptunes. Despite the unexpected guest appearances, Lasers is complete with the uncompromising lyrical complexity that first catapulted Lupe into hip-hop's spotlight. Previous recommendation: Diana Ross' Greatest Hits Tour. Have ideas for The Root Recommends? Send them to recommendations@theroot.com.